This boxy jacket, featured in the Cruise 2019 presentation, is cut from matte deerskin, a signature Bottega Veneta leather known for its soft, pebbled texture. 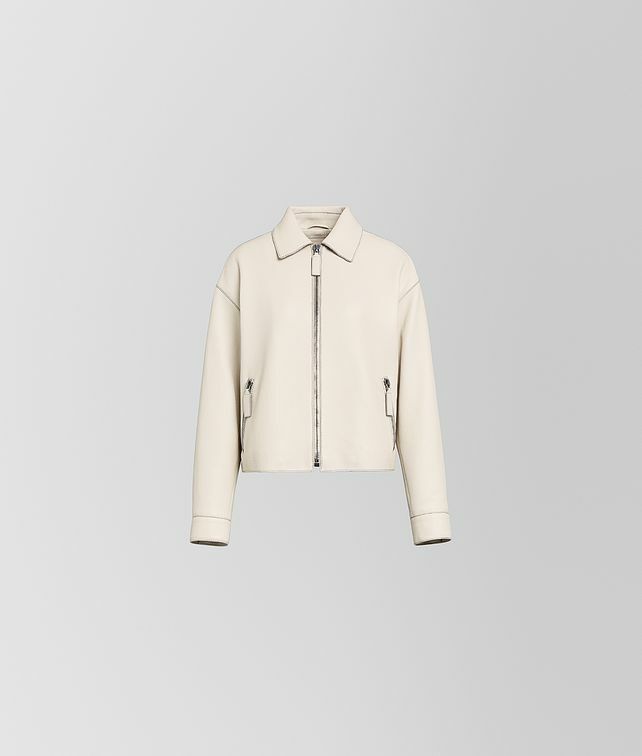 The pale hued jacket is designed to wear with collection’s icy pastels. Finished with intrecciato detailing under the collar.